Well there we were, innocently wandering through Soho, with a bit of time to spare while the boys were perusing the shelves of a local wine shop. There was Hotel Chocolat on the corner of the crossroads. It would have been rude not to venture in… So we did. Cracking lager, Gromit (to paraphrase a certain Mr Wallace). 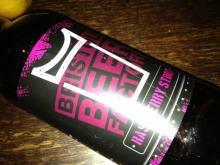 And this is a cracking beer from the charming Foundry Brewpub. What a lovely pub, tucked down the little White Horse Lane alleyway off Canterbury's pleasantly pedestrianised high street. Landlord Jon has had a specially built brewkit put behind glass, so it's all visible from the comfort of your bar stool. 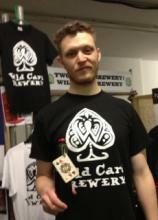 And he and his crew brew plenty of styles, from Belgian Saison to bitters, from stouts to lagers. Frontier is Fuller’s foray into the craft lager market - not the first of big brewers, nor the last we’ll wager, to attempt this oxymoronic feat. Have they succeeded where others failed? Frontier pours a brilliant gold with an attractive lacy foam. Not astoundingly aromatic but there is a squeaky clean biscuity feel to it, and perhaps the faintest touch of fragrant smoke and orange blossom. 4.5%, available via Fuller’s pubs, including The Parcel Yard, St Pancras Station, & other hostelries. Hold a buttercup under your chin to get an idea of the colour that Shepherd Neame’s new release – Brilliant Ale – pours. 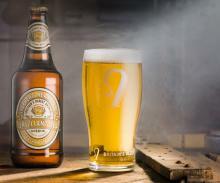 Impossibly golden, with its halo of creamy foam, it's a hugely enticing glass of beer. There's a lovely malt base to this flavourful IPA, with honey, marmalade, and spice from time spent in Penderyn whisky barrels – a true Welsh IPA. This was the winner in Brains' Ultimate IPA challenge - guest brewers including beer celebs Melissa Cole, Marverine Cole (aka Beer Beauty) and the entertaining duo that is Dwink – Ben McFarland and Tom Sandham – were invited to Brains new craft brewery to try there hand at creating an IPA. And it was the lads what won with this creation. Smells of Christmas spices lead onto flavours of roast malts, dark chocolate and mellow coffee on the palate of this "specially crafted Porter". Chuffed to hear that my favourite hop, Bramling Cross, is amid the ingredient mix, along with wheat as well as barley malt. This is superb. Delightful aromas of raspberry mix with dark chocolate, while the palate has a true raspberry seam atop plain chocolate, and a refreshing tart note on the finish. 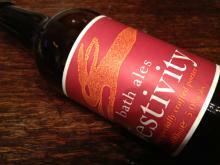 7.7%; available as part of Bristol Beer Factory's 12 Stouts of Christmas - genius initiative. Well what a pleasure – to get a chance to review a beer that’s been brewed to celebrate the history of one of the country’s foremost brewery. 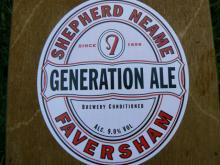 Generation from Shepherd Neame marks five generations of the family at the helm, with five hops and five malts. 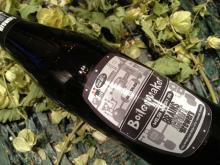 A sizeable 9%, it was left maturing for a year before release, so you are getting alovely spicy, dried fruit character. 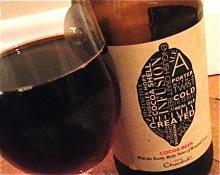 Vanilla, raisins, sultanas mix with chocolate and orange, which in turn mingle with hints of coconut and sweet spice. When a brewery is the oldest in the land – and organised enough to keep its records – you can betcha there’s some entertaining stuff in them thar archives. 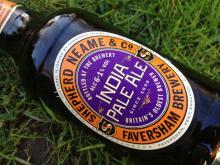 And so it is with Shepherd Neame’s latest arrivals in its Classic Collection series. Based on recipes from the 1860s and 1870s, its Double Stout and India Pale Ale offer great taste as well as a nod to history.